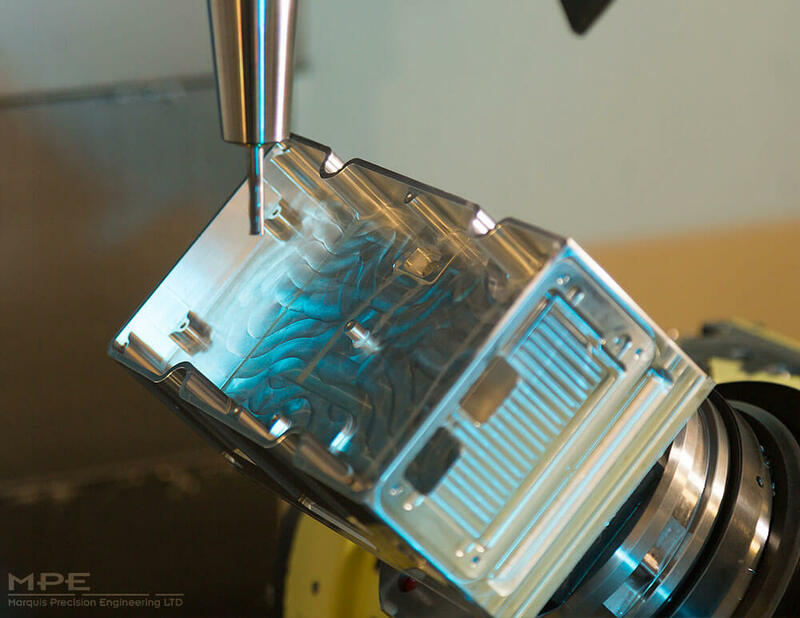 High-speed or 5 Axis milling is used to create smaller and more intricate components. Our machines have a very versatile set-up, which reduces the need for several separate configurations during component production. Our six machines create components along 5 axes at the same time. This means that very intricate and complex parts can be made efficiently and quickly. Many of the parts we create through the 5 Axis process end up in use by the aerospace industry. High speed or 5 Axis Milling is better for finer detailed work and finishes, but fares less well for heavy cuts and metal removal. We would use a 3 Axis machine for components needing this kind of attention, before placing them into the 5 Axis machine to complete the process. These machines have spindle speeds of 22,000rpm, making them ideally suited to the job of milling intricate components. Our machines also benefit from twin pallet loading and one of the quickest cycles available for changing the tools used. This means less time changing the set-ups and more time creating high quality, competitive products for our customers. The materials we work on for 5 Axis Milling include: plastics, brasses and aluminium alloys. As with the other CNC Milling processes, the machines are self-checking. After the components are created they will continue along the production line to be coated, washed, inspected, packaged and despatched. Every stage of this journey is carefully monitored and a workflow sheet goes with each component, from the time the raw materials come into the store and are given a code, until the moment the finished products are shipped. Traceability, reliability and accountability throughout the whole production process are incredibly important to us.